Facebook is the top social networking site to connect to your friends. 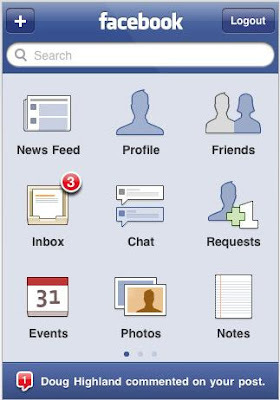 Facebook recently released new version of facebook app 3.0 for iphone. Facebook engineers has spent a lot of time and energy to make this application almost look similar to the original facebook site and this application will make you feel that you are browsing facebook in your laptop. Become a fan of pages. Check out the Cnet Video about this facebook app. Currently this app supports 5 languages English, French, German, Italian, Spanish. It supports iPhone and iPod Touch. Download Facebook 3.0 for your iphone.